Leppinks Deli is the perfect first stop whether you're whipping up a quick meal or entertaining. Turn to us when you want to throw a party to impress, and we'll help you put together the perfect spread. 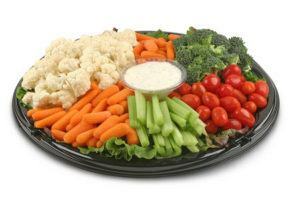 Leppinks offers a great variety of trays to meet any party needs. Click here to view our party tray brochure. Click here to download a party tray order form. Leppinks Deli offers daily lunch specials with several great options, as well as our Soup of the Day. Click here to download our monthly menu. Need dinner in a flash? Visit Leppinks Deli to order some of our delicious, golden fried chicken. Whether you need a 4-piece or a 20-piece, we can meet your needs (large orders may require call-ahead notice).